Bio-Cellulose Sheet - An adhesive sheet naturally derived from fermented coconut gel clings to skin to better deliver beauty ingredients. Multi Collagen - Collagen and Bio-Collagen serum helps make your skin appear firm and plump. This brightening mask features a naturally adhesive bio-cellulose sheet and collagen serum. It restores elasticity and firmness to give you baby-like skin. 1. Cleanse and tone face. Remove mask from package and unfold. 2. Peel off protective sheet on one side of mask. 3. 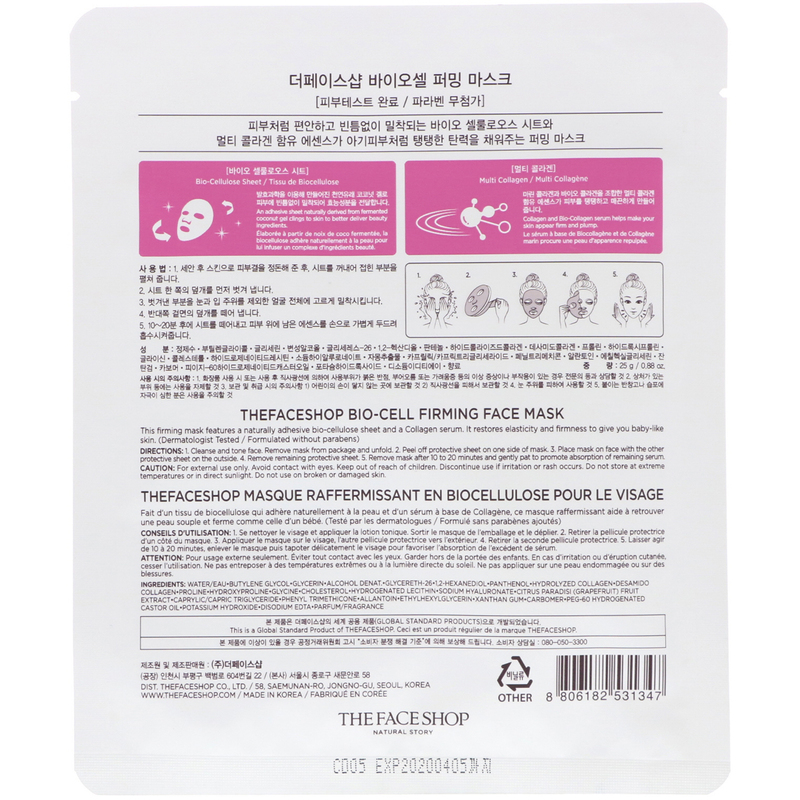 Place mask on face with the other protective sheet on the outside. 4. Remove remaining protective sheet. 5. 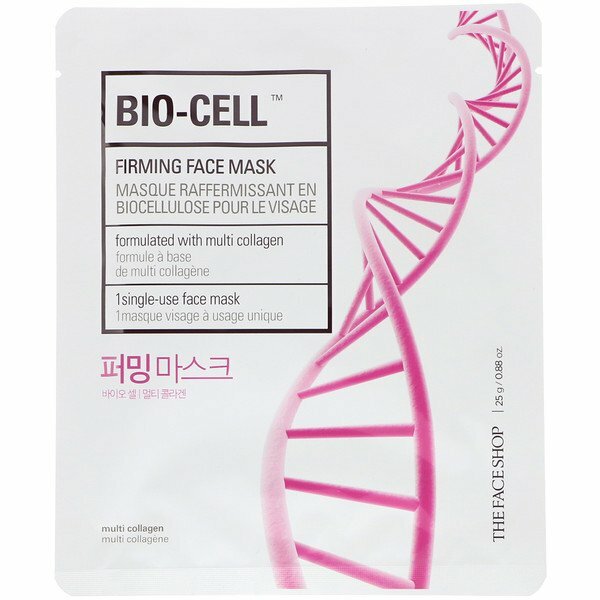 Remove mask after 10 to 20 minutes and gently pat to promote absorption of remaining serum.